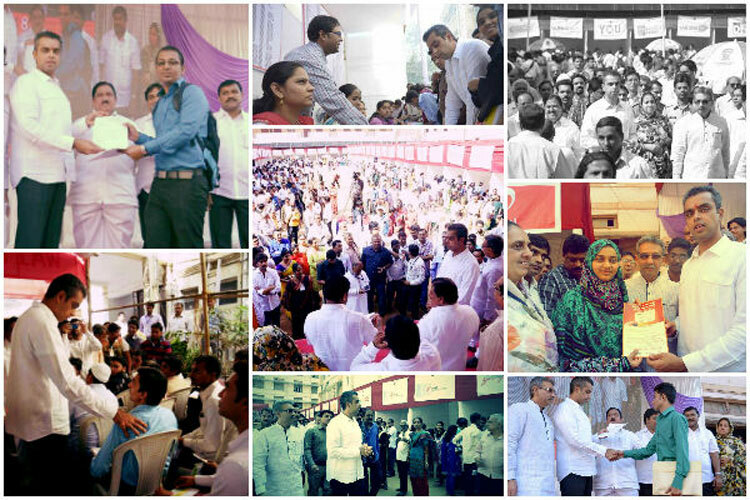 On 19th January 2014, Mr. Deora organized a Job Fair in South Mumbai which was held at the Saboo Siddik Polytechnic College premises. This initiative by Mr. Deora is aimed at providing various job opportunities to young freshers as well as experienced candidates. The event was a huge success with a total of 74 companies participating. These companies included Airtel, Hindustan Unilever, LIC, Max Life Insurance, ICICI, Hindustan Times, McDonald’s, and others. Job offers were handed out to 2424 applicants, while 2544 candidates were called for a second round of interviews. Mr.Deora, however, said that Job Fairs were good, short term solutions for youth employment. But for a more structural solution, skill training was the key. On 30thJanuary 2014, Mr Deora denounced the move of private airlines being asked to give special privileges like faster security clearances and lounge access to Members of Parliament in line with what Air India has been providing so far. Mr.Deora said that there was no need for special treatment for legislators in private airlines or in Air India, Railways and even toll booths. On 13th January, 2014, in a written letter, Mr. Deora urged the Railway Minister, Mallikarjun Kharge, to urgently look into the safety of train commuters in Mumbai. He asked Kharge to look into the matter seriously. Initiate strong and quick measures to prevent mishaps. A recent one where a young girl lost both her arms after falling through the wide gap between the platform and the local train at Ghatkopar station in Mumbai. Mr. Deora has taken up the suburban rail commuters’ issues with the railway minister. Various complaints and representations from Railway Passenger Associations, NGOs, a memorandum from Moneylife Foundation and Samir Zaveri Railway Helpline were addressed. These associations on behalf of Mumbaikars requested his immediate intervention to stop deaths on Mumbai rail tracks. He also suggested measures like availability of ambulances and first-aid kits at all railway stations to ensure that the injured passengers are provided with necessary medical attention and bridging the gap between the platforms and the trains. In emergency situations, he emphasized that primary attention be given to saving precious lives rather than the official paper work. Mr. Deora paid his last respects to Dr. Syedna Mohamed Burhanuddin, the spiritual leader of the Dawoodi Bohra community at Saifee Mahal in South Mumbai on 17th January 2014. 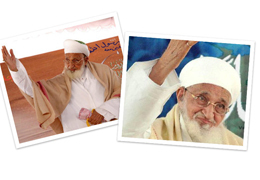 Dr. Syedna Mohammed Burhanuddin was the 52nd Dai al-Multaq of the worldwide Dawoodi Bohra community. He was a messenger of peace and worked for the upliftment of the community through education of women and removal of social vices. Mr. Deora offered his heartfelt condolences to the family. 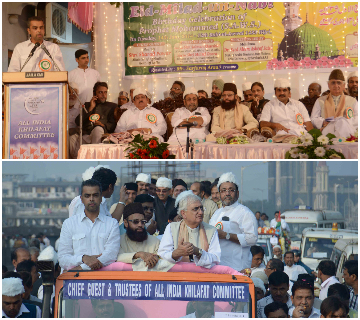 On 14th January, Mr. Deora greeted the entire nation on the eve of Eid-e-Miladunnabi, the birth anniversary of Prophet Muhammad. The event took place at the historic Khilafat house in Byculla, Mumbai. Minister for External Affairs, Mr. Salman Khurshid and MLA, Mr Nawab Malik had also graced the occasion. Mr.Deora mentioned how Gandhiji had led the All India Khilafat procession in South Mumbai to spread communal harmony among Hindus and Muslims. “The Prophet was a great social reformer and his birthday should be celebrated as a day of love and tolerance”, said Mr. Deora. On 19th January 2014, Mr. Deora attended the Bhoomi Poojan for the construction of a new Fishing Jetty at Ferry Wharf (Bhaucha Dhakka), Mazagaon. MLA Mr. Madhuka Chavan and other key officials of the Mumbai port were also present on the occasion. The construction of the Fishing Jetty at Ferry Wharf will act as a safety measure for the fishing community. On 18th January 2014, Mr. Deora along with MLA Mr. Sachin Ahir, local RAs and NGOs launched the Worli Festival in Mumbai. It is organized by Shree Sankalp Pratishthan and OMCPL. The Festival was held from 24th January to 26th January 2014, staged at the iconic Worli Sea Face Promenade and the RWITC (Race Course). It offered a string of events including a Food Festival (RWITC), Kid’s Carnival, Kala Bazaar (Art and Craft Zone), Flea Market, Morning Ragas including a melodious performance by Begum Parveen Sultana, Art Installation talking about Mumbai Vision 20-20, Mumbai Masala/Pot Puja (showcasing food zones), Worli’s Got Talent (a talent contest open to Worli residents) and a Short Film Festival Stage giving the guests an opportunity to interact with reputed Bollywood directors. A Republic Color 5K run was held at the Festival for the first time for the people of all ages. This year the Worli Festival saw Salman Khan making his presence on the first day of the festival. The essence of this Festival has always been about celebrating Worli and bringing together people from various parts of Mumbai. Mr. Deora encouraged Mumbaikars to get involved with the festival! 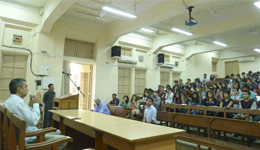 On 15th January 2014, Mr. Deora interacted with the students of Wilson College, Mumbai and answered questions related to local and national issues. He also discussed his advocacy of the RTI Act and how it has empowered each and every citizen in the country. Mr. Deora was very impressed by the enthusiasm of the students and had a one on one conversation with them sharing details about his volunteer programme. On 15th January 2014, Mr. Deora interacted with students from Mumbai’s Burhani College in Byculla. He had a very lively conversation with the students and showed great interest in answering their questions related to governance. 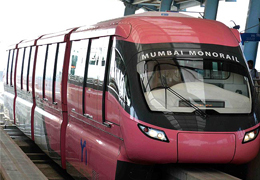 On 1st February 2014, Mr. Deora expressed pleasure at the inauguration of the monorail in Mumbai. This is the first monorail in India. Chief Minister Shri Prithviraj Chavan inaugurated the monorail which started functioning for the public from 2nd February onwards. Around 20,000 people got the opportunity to travel through the monorail on its first day. 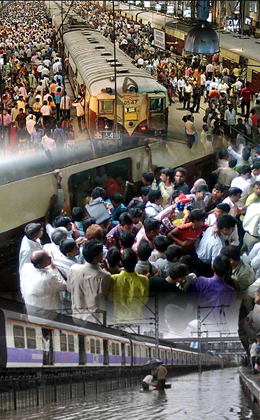 The train stretches from Wadala to Chembur and the commute lasts for about 20 minutes. 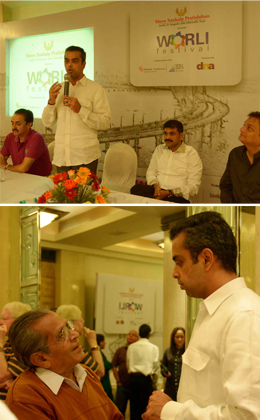 Mr. Milind Deora felicitated Mumbai for its first ever monorail and termed it as a ‘monovision’.